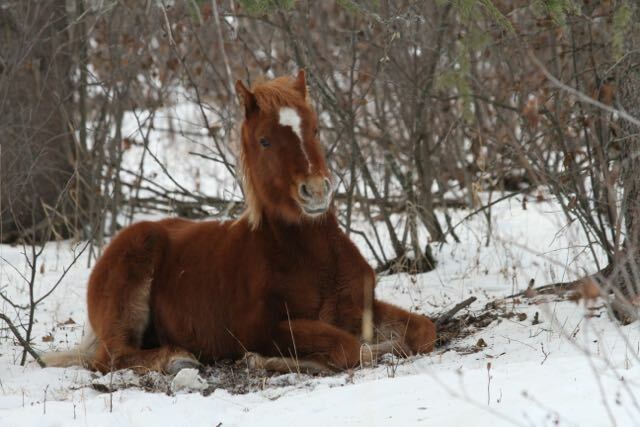 Although winter out west in the foothills is far from over, it has not been hard for the horses. 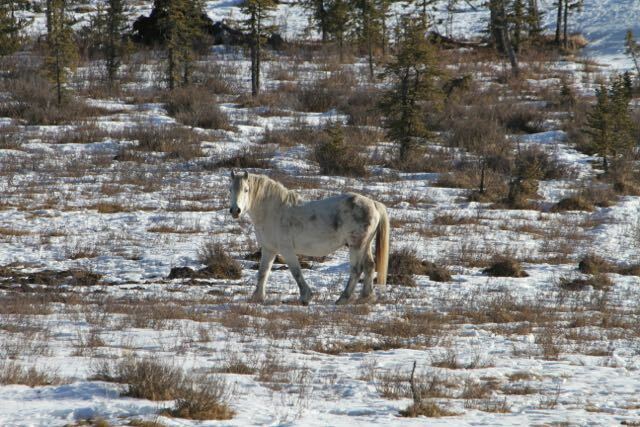 We found White Spirit and his band roaming through the frozen muskeg meadows. WHOAS continues with our work with both the adoption program and contraception project. We were very interested to receive the following video from the Animal Fertility Vaccine Information Centre out of the United States. 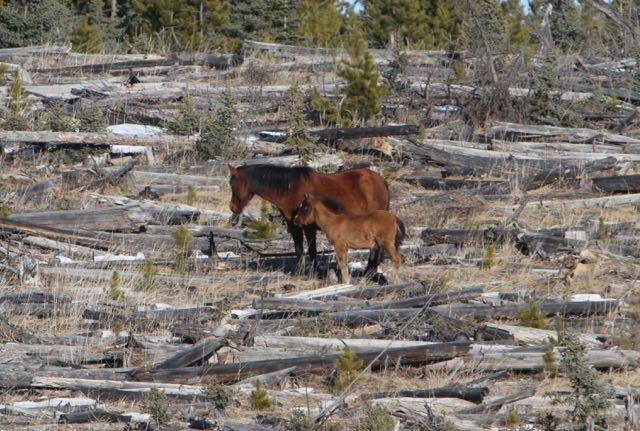 We find it encouraging that the BLM (government) in the United States has formed alliances with nearly 40 wild horse advocacy groups that support this science-based approach. They, too, strongly believe that contraception is a far better management solution for their wild horses as we believe it is up here. With so many different groups adopting the use of a contraception program, the evidence and research is building to show that it is working. That is why the BLM is expanding their efforts to work with these groups. We hope along with this information, along with our own research and the results of our contraception program, that the AEP and Alberta government will approve expansion of the program in future years. We were delighted, despite all the different winter conditions that the wild horses have endured, that this very young foal, obviously born in the fall, is doing well. 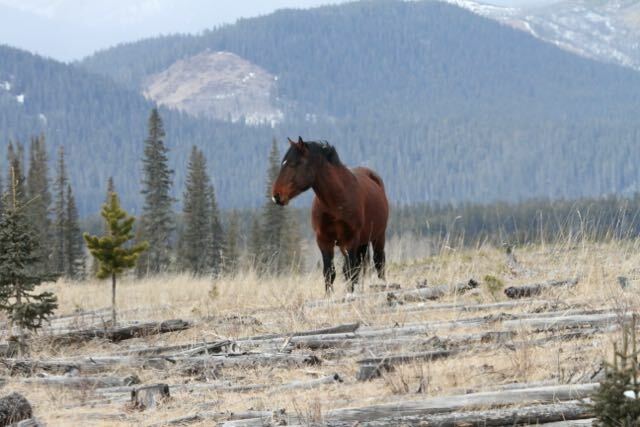 With the lack of deep snow this year, the horses are able to wander far and wide to find forage. This has made them a little bit harder to find in order to observe and photograph them. What are the steps to adopting a horse? Hello. WHOAS has an adoption application we send to interested individuals. We would be happy to send you a copy. Please send an email to WHOASalberta@gmail.com, Thank you.